Great before and after pictures of our Western Red Cedar! Our client Mr Chris Dows has kindly sent us pictures of his transformation of the front of his home...and doesn't it make a difference!!! 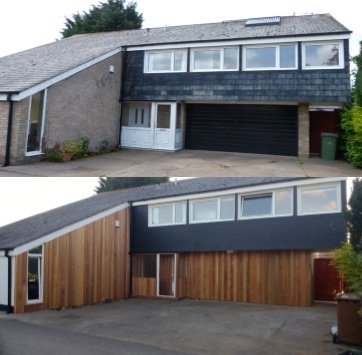 Stunning example of how our cladding can be used to transform the look of your home!